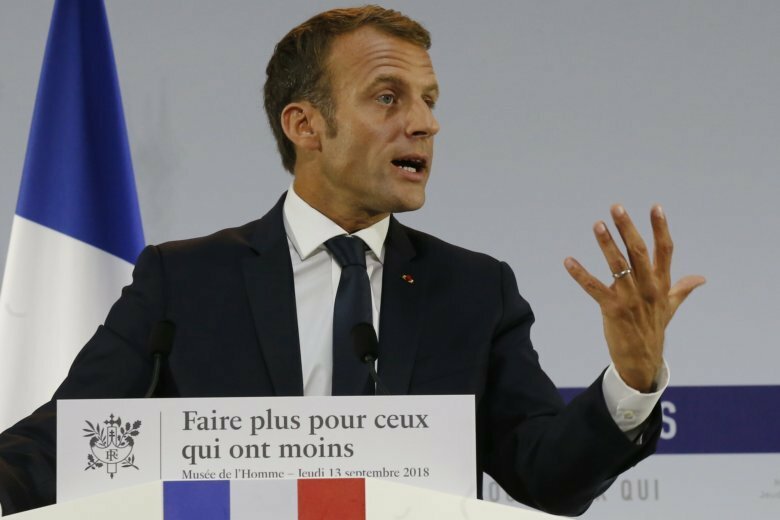 PARIS (AP) — French President Emmanuel Macron, often branded by critics as the president of the rich, has unveiled an 8 billion-euro ($9 billion) plan to tackle poverty. “Poverty must not be transmitted as a heritage anymore”, Macron said. Statistics agency Insee estimates that about 14 percent of France’s population lives below the poverty line.